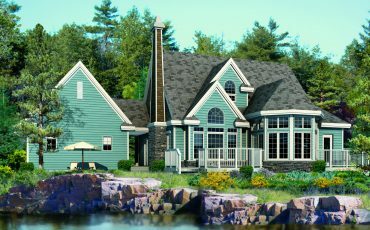 This design features peaked rooflines and a towering chimney for great curb appeal, and a spacious lofted upper level with two guest bedrooms. 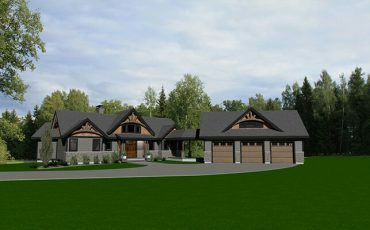 This unique design features a spacious main floor master bedroom, and upper level loft. 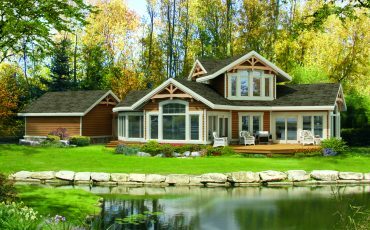 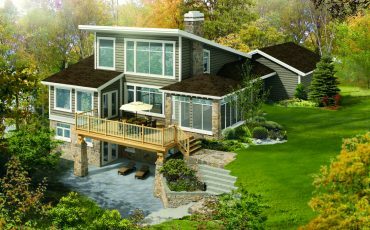 This two-bedroom bungalow design features post and beam-style construction, an open-concept kitchen and living area, and a spacious, elevated back deck.